Problems with vacant property can arise, which often lead to costly delays and expenditure. The current focus of administrators in the public sector in these times of constrained budgets is to cut unnecessary expenditure, consolidate assets and maximise their use for the public benefit. This has particular implications for the Government estate and the property portfolios of local authorities, NHS Trusts and other public institutions. Community facilities change direction or close, and working style and workplace culture is altering: eg remote working, hot-desking or working from home are now commonplace and can alleviate the need for so much office space. Assets in property portfolios are now either going through serious redesign, rebuild and refurbishment, or being sold for redevelopment. While this process is carried out, the building becomes vacant, and vacant property is now a magnet for many problems. Even if it is residential, it can still attract squatters, despite the changes to the law in 20121, and any likely unoccupied building, commercial or residential, is vulnerable to squatting or simply vagrants or homeless sleepers looking for shelter overnight. The cost of removing squatters and clearing up the damage they frequently cause can run into thousands of pounds2. Other anti-social and criminal behaviour is also rife in and around vacant property. 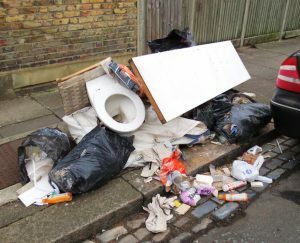 An example is flytipping, now a major and sometimes costly problem to deal with, and the neighbouring community to the property location dislike the impact long-term empty buildings have on them for a whole list of reasons, practical and social. If the building looks neglected and run-down, that is simply an open invitation to trouble. In tackling any of the above, the option of secure fencing, shutters or boarding around a site merely attracts disfiguring graffiti and doesn’t keep out anti-social or criminal behaviour, nor do CCTV or alarms. The perpetrators are usually long gone before security guards or the police arrive, and they are used to keeping their faces obscured from cameras. Determined thieves will target anything with a scrap value and this can cause immense damage to a property. Drug dealing and use is common in deserted buildings and the risk from malicious arsonists cannot be discounted. Vacant premises also deteriorate rapidly and this can cover everything from vermin infestation to leaking roofs, blocked guttering and frost damage. In tandem with all of this is the cost of business rates and insurance cover. 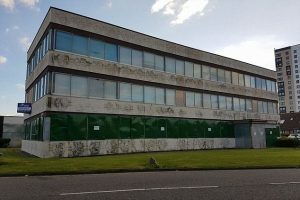 Although some public and local authority property is exempt from rates, not all is, so this is still a cost to be borne even if the building is vacant. The Government primarily operates a policy of self-insurance for their property or assets, but there are circumstances where cover needs to be in place and some local authorities do have insurance policies. It is worth remembering, if any third party visits or trespasses into a vacant building and suffers a mishap, the property owner is still liable and ‘no win no fee’ lawyers abound, encouraging people to seek damages. Some empty buildings can sit for years while their future is decided and It is also worth bearing in mind that property owners who dither over long term vacant buildings, or sometimes even forget about them, can find themselves in the negative media and public spotlight, especially if the premises are within a large urban conurbation where lack of affordable housing is a real social issue. The current shortage of housing across the country is now a major media focus and if it is public sector owned, this is particularly viewed in a bad light. A solution to all the above problems associated with vacant buildings is to install property guardians in the premises through an ethical and responsible company that can turn the void into an income generator, as opposed to a drain, for as long as is necessary. In one fell swoop, the building becomes secured, the guardian company maintains it and ensures there are adequate living and domestic facilities there for its guardians; business rates liability is mitigated, insurance cover can benefit, income can be generated to offset any other financial charges and, importantly, an otherwise vacant building gets turned into a low cost accommodation opportunity so the social benefit is enormous. But who or what are Property Guardians? Put simply, a vacant property guardian is a responsible person who occupies an empty building as a deterrent against squatting, theft, anti-social and criminal behaviour and dereliction. They are a form of house-sitter or caretaker who temporarily lives in an unoccupied property under a Licence Agreement, until the property owner requires the building to be returned. It is important to note property guardians occupy a premises under a Licence Agreement, not an Assured Shorthold Tenancy (AST). With an AST, as well as other rights, the landlord has to give the tenant at least 2 months’ notice to vacate the property. This isn’t always a practical situation for a vacant property owner if they are merely awaiting planning consent, or perhaps a sale to go through. With a Licence Agreement, the property guardian will only be subject to at least 28 days’ notice to vacate. 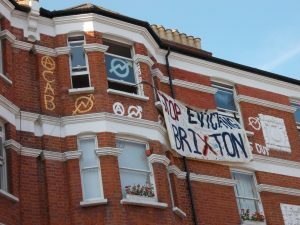 Since at present there is no law governing the use of property guardians and their rights, unlike with an AST, there is only an industry Code of Practice to stop unscrupulous guardian companies evicting guardians from a property with very little notice and potentially rendering them homeless. This is one of the reasons why is it so important for property owners to use the services of a properly accredited and ethically responsible guardian company. A property guardian pays a Licence Fee in order to share the living space in an empty property. This fee is not classified as rent and the guardian has no tenancy rights. Guardians also do not have exclusive possession of any part of the building and their primary role is to protect an empty property either on their own or in cooperation with other guardians sharing the living space. The Licence Fee paid by property guardians is normally much lower than rents in accommodation in the surrounding area, which is what makes it an attractive option for some people, especially if they are on low incomes. Because of this, the social benefit reflects positively on the building owners as property guardianship provides much needed, affordable accommodation for working professionals looking to save on living or commuting costs, especially in expensive city locations. 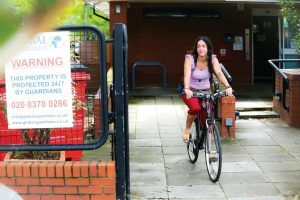 Property guardianship can enable key workers to live near their inner-city workplaces and is a real contribution to the provision of social/affordable housing. When a property owner contracts a guardian company, it then takes over responsibility for the property maintenance and reliable people living on site provide security 24/7 as one of them always has to be in situ and their presence deters all the anti-social behaviour as well as reassuring the neighbours and local community. However, especially for any public sector organisation where compliance and transparency are mandatory, an accredited guardian company, such as Global Guardians, must be used. In other words, a company which belongs to the British Security Industry Association, (BSIA) and also complies to British Standard 8584:2015 (Vacant Property Protection Services – Code of Practice) which is backed by the BSIA, Environmental Health, London Fire Brigade and many other reputable organisations. By complying to BS 8584, the guardians will not only be treated responsibly and ethically, but the property owners can be reassured the guardian company is complying with every relevant aspect of current housing and property legislation and regulation, as well as all health and safety regulations. Regrettably, not all guardian companies do this which puts guardians at risk and leaves property owners liable for various problems which may occur. Global Guardians are renowned for our pioneering work to bring better standards to the industry and our campaign to be the gold standard for property guardianship through the work we do with the BSIA, the development of the BS 8584, together with a new industry standard Code of Practice which is currently being drafted. We are also assisting the GLA for better regulation of the property guardian market in London.